Olympique Marseille will be aiming to give fans some cheer when they welcome Apollon at their Orange Velodrome in their last group game in the Europa League. The Ligue 1 side have been struggling in the Europa League this term, with the team collecting only one point from possible 15. Marseille’s pride will be at stake in Thursday’s football match, therefore, we predict that the hosts are going to fight tooth and nail against Apollon. Rudi Garcia’s men produce much better displays at home than on the travels and seeing that the Cypriotes suffered seven defeats in previous eight away games in the French top flight, we believe that home win should be considered. 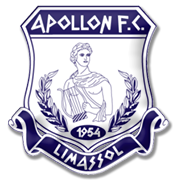 When the two teams met in Limassol earlier in the process they played out a 2-2 draw, but we are tempted to put our money on the French side this time out. Hiroki Sakai is a product of Kashiwa Reysol football academy and, as expected, he made his first-team debut with the Hitachi Kashiwa Soccer Stadium outfit. Sakai played his first ever match for Kashiwa against Kofu (1-1) on May 5, 2010 and during the 2011 season he established himself as a first-team regular. The pacey right back made 27 appearances for Kashiva in the 2011 season and he remained at the club until the summer of 2012. Hiroki Sakai then played for Hannover (2012-2016) and he scored two goals in 92 appearances in the league for the Bundesliga club. In 2016 he joined Marseille and he played regularly for OM in the 2016/2017 Ligue 1 campaign (35 appearances). Sakai was born in Kashiva on April 12, 1990 and 22 years later he made his senior debut for Japan, playing 45 minutes in a 2-0 win over Azerbaijan. It has to be noted that the Marseille footballer has 17 caps for Japan U23 team as well.